In a context of uncertainty, highlighted by the US Federal Reserve, risk aversion is clearly on the rise, benefiting above all safe haven stocks on the markets. The German manufacturing sector, the main European victim of the global slowdown, the driving force behind the Old Continent's economy, recorded a sharp contraction in March, the worst score since July 2012 according to PMI indicators. The Fed is lowering its growth and inflation forecasts and is doubling the pace of its normalization cycle. The US central bank has revised its interest rate increase projections and announced that it will soon stop reducing its balance sheet. Uncle Sam's money managers no longer plan any monetary tightening in 2019 and only one, in 2020, in the next three years. The pace of the reduction in the balance sheet will slow by half from May onwards before stopping in September. On the Brexit front, the Europeans are offering 2 options to the British government after Westminster's double rejection of the exit agreement and Theresa May's request for a postponement: if the British deputies validate the agreement this week, the Brexit will be postponed to May 22. Otherwise, the Brexit will be effective without agreement on April 12. As the text negotiated with Brussels by the Prime Minister does not seem to be able to reach a consensus in the House of Commons, the second option should nevertheless be avoided on condition that London rethinks its strategy in order to obtain a longer extension, which would involve the United Kingdom's participation in the next European elections scheduled for May 23 to 26. The economic calendar will be light this week but traders will nevertheless follow the New Zealand Central Bank meeting and the new developments around Brexit. 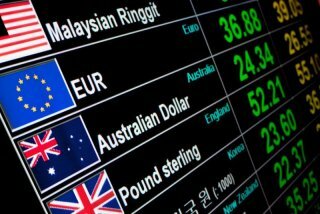 Graphically, despite a new attempt above USD 1.14, the Euro is once again giving in to waves of rebound sales that are pushing prices back into the heart of their range. The situation is neutral between USD 1.1198 and USD 1.1428. The Pound remains close to its annual high points, further proof that operators do not believe in the no deal disaster scenario. While the Pound should be worth more in the medium term, the current volatility in the currency forces us to stay away. The Euro's setbacks are also benefiting the Swiss Franc and the EUR/CHF pair is approaching its annual lows. However, under 1.1189, the SNB could react again and cause a clear rebound in the parity. Finally, the Yen is also benefiting from the risk aversion context and the USD/JPY pair confirms its failure in contact with its resistance at 111.90. Now sustained below 110, the pair is looking for a breather to try to resume its forward march.